There is nothing that beats playing a really good piano. How can you find the best upright piano, though? It’s not an easy task, and therefore we are going to help you every step of the way. We will do this in three different ways. We will introduce you to ten outstanding pianos that you can choose from, we’ll link to video clips so that you can learn more about them and we’ll answer the most common questions piano buyers have. What Are the Upright Piano Dimensions? 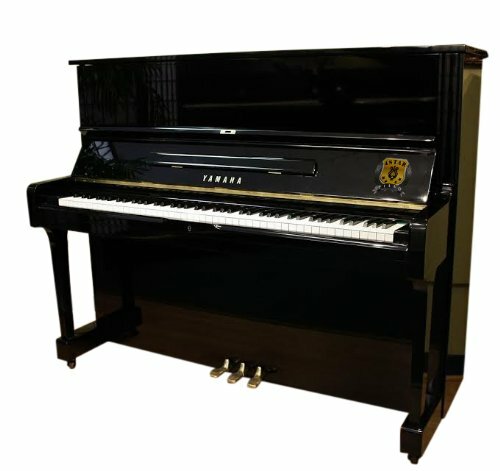 What Are the Top Rated Upright Piano Brands? 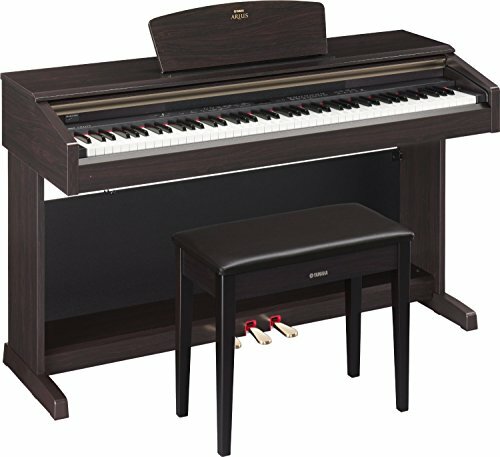 What Is the Best Sounding Upright Piano for The Money? 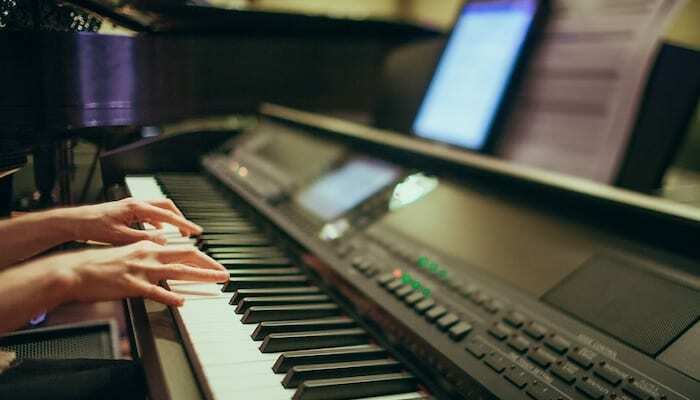 We have looked at lots of different pianos and chosen instruments in different price ranges so our list really contains something for everybody, from the beginner to the more advanced player. 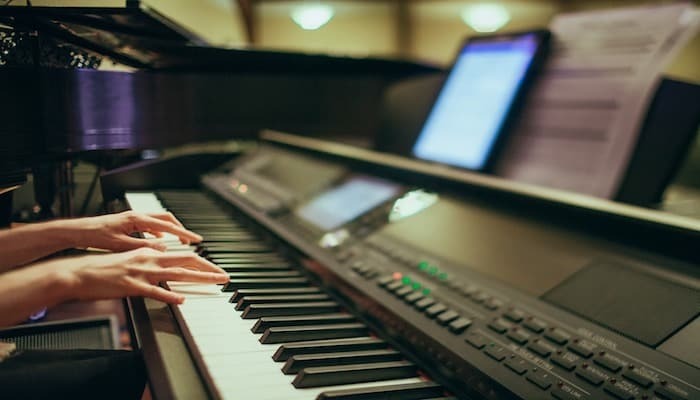 We have included both digital and acoustic pianos, so no matter what kind of piano you’re looking for, we’ve got it covered! We hope that you will find this list helpful and find a piano that can bring you joy for many years to come! Let’s take a look at the different pianos! 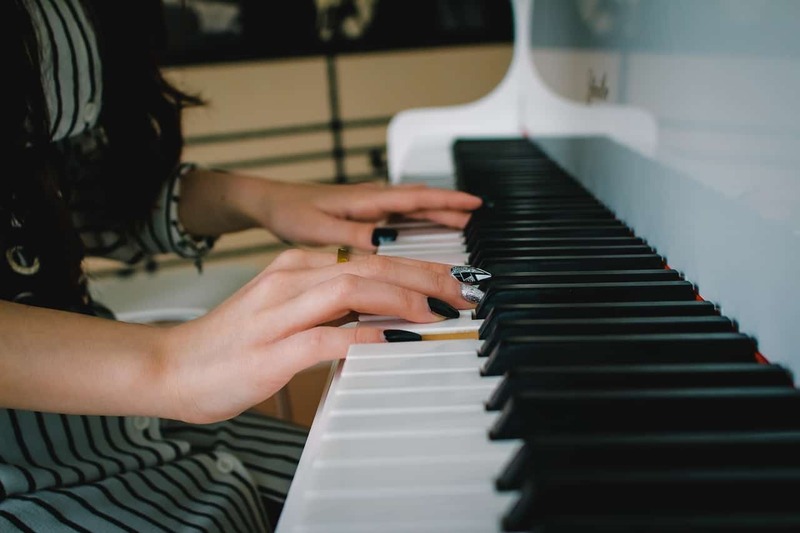 Read through the list carefully and watch the YouTube videos we’ve linked to, and every time you find a piano you might want to buy, write it down along with what you like about it. That way you’ll be able to compare your favorites easily. 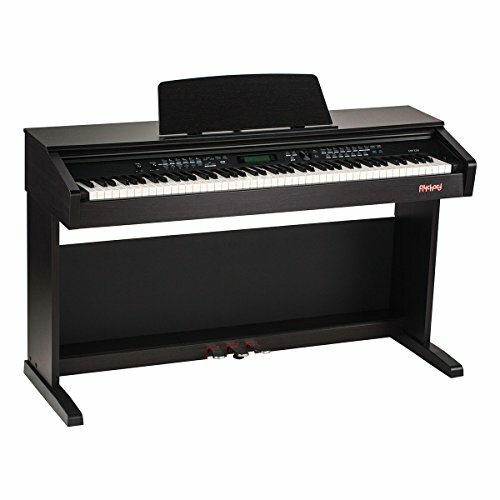 Looking for a digital piano? Check out the top 10 digital pianos under 500 dollars. Or the top digital pianos under 1000 bucks here. 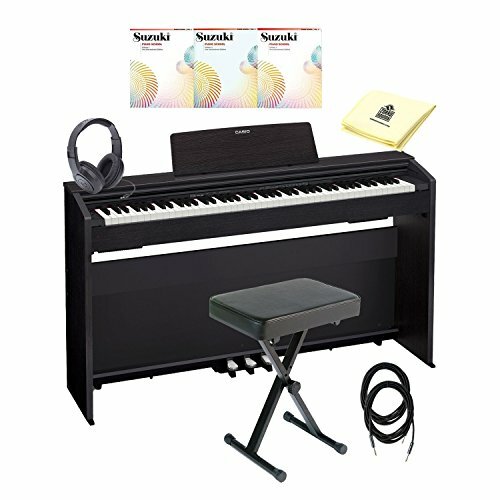 The first piano on our list is Yamaha’s Arius YDP 162, which is a really nice digital upright piano with graded hammer weighted action. This means that when you strike a piano key, it feels just like playing a regular acoustic piano, and the harder you strike, the louder it sounds and the other way around. The keys have synthetic ivory that makes the keys less slippery and give you a good grip to make it easier to play. The surface also absorbs finger moisture, as Yamaha calls it, or hand sweat as regular people would say, so if that’s something you suffer from this could really be life-saving! The player piano is quite high to make it look like an upright piano. It has a built-in 2-track song recorder so that you can practice one hand at a time but still get it to sound nice, or so that you can record when you compose something. Curious what this piano sounds like? We thought so! Here is a YouTube video where this piano is being played so that you can see (and hear!) what it’s all about! 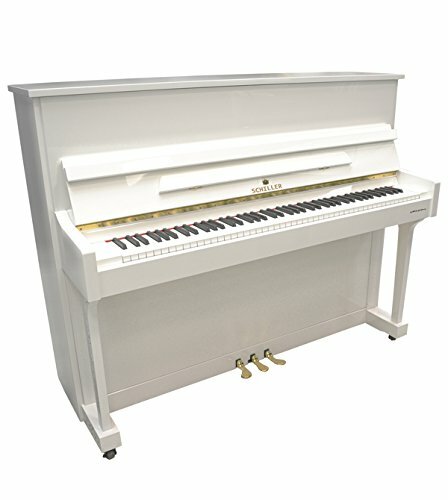 Why We Liked It - This piano is perfect for people that require practice pianos often, as it’s very comfortable to play. Beginners and intermediate players should definitely consider this piano, and even professionals that perhaps mostly use an acoustic piano but want to be able to turn the volume down once in a while might like this one. 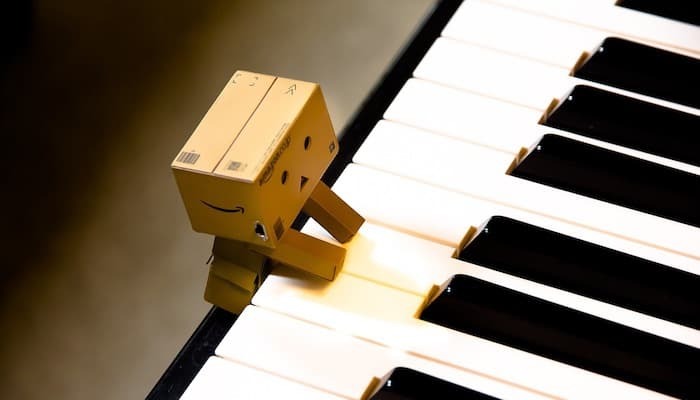 Is playing the piano a lifelong dream of yours that just feels too far away? Perhaps you wish that you would have taken lessons when you were younger and feel like it’s too late to start taking lessons as an adult. The One might be the one for you! It’s a smart piano that teaches you how to play! You connect it via USB to your tablet or smartphone and get access to an app that has sheet music for over 4000 different songs! But how does that help you if you don’t play the piano or read music yet? The piano will help you! There are different learning modes and games in the app so that you can learn new pieces in your own pace, and there are blue led lights that show you which piano key to play next. There’s also over 100 videos and tutorials so that you can get that lesson experience for much less money! Sheet music for a single song can sometimes cost more than $10, so if you think about it, this is an amazing deal! And lessons one-to-one with a piano teacher are costly as well. The piano itself comes in black or white and has three pedals and is made from wood, so it looks great! It also has over 128 instrument sounds to choose from and weighted piano keys that makes it just as comfortable to play as an acoustic piano. 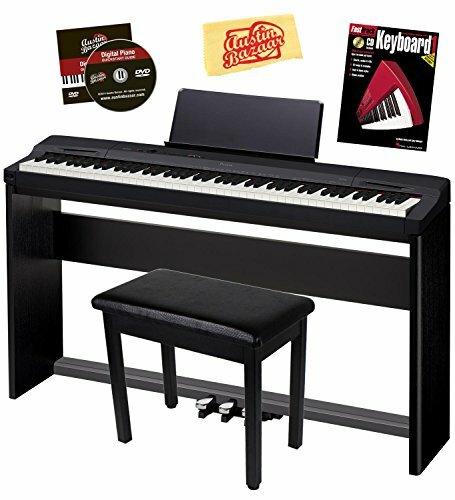 If you’re a beginner and wish you could just buy a piano and start piano playing straight away, this is The is the beginner piano for you! Want to see how it works? Here is a great review from a beginner’s point of view. Why We Liked It - This piano is obviously amazing for beginners, since they can actually learn to play with it. We also imagine this would be a good tool for piano teachers to have in their studio. Fun and games is a great way of learning, so the app is a really good complement to regular lessons. 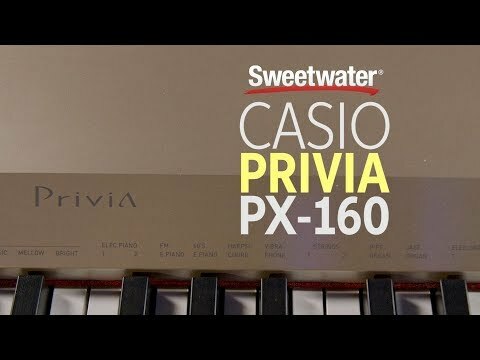 Next up is another digital piano, Casio Privia PX-160. This is a piano that is very basic. It’s slim and easy to use and if you would really want an acoustic piano but because of lack of space need to find a digital one, this is a good alternative. It’s light-weight and easy to move around in your apartment or bring with you when you move or have a concert somewhere. It has 18 different sounds so that you can vary your music a little bit and it has very nice speakers. This piano is available in black, but also in champagne which is a gold-like color that looks luxurious and unique- really something to show off to your guests! If you like recording and composing this piano can easily be connected to a table or computer via MIDI USB. This piano comes with a 3-year manufacturer’s warranty, which we believe shows Casio’s confidence in that it will be a high-quality instrument. 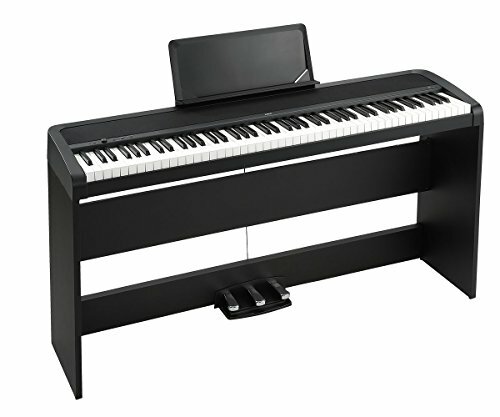 It includes a power supply, a sustain pedal and a music rest, but unless you buy a bundle, you’ll have to buy the piano stand and stool separately. Here is a really good video review if you want to learn more about this wonderful piano! 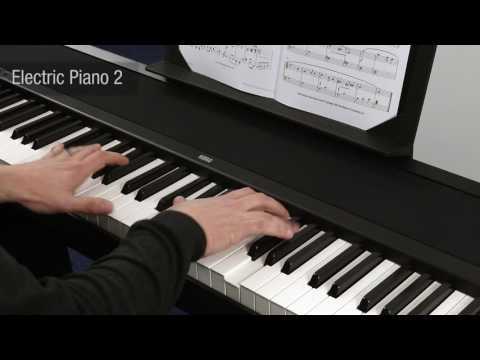 Why We Liked It - We would recommend this piano for beginners, as it’s pretty basic. If you’re only going to use it as a regular piano and don’t require many extra features, this is a good high-quality option. Musicians who play another instrument but need to have a piano at home for accompaniment or the occasional practicing of singing or similar things might also like this piano. Number four is another piano from Casio, PX860. Just like the previous piano it’s full sized and has hammer action keys and touch response, so when you play it will feel just like playing an acoustic piano, or at least that’s the idea. It has three different sensitivity levels so that you can get the perfect feel. This piano also comes with a 3-year manufacturer’s warranty, which is nice to know in case something should be wrong with it. The best thing about this piano is the sound it’s able to make. It captures the sound of a 9-foot concert piano which is amazing for a digital piano to do. The piano has three pedals and is a really good substitute for an acoustic piano. It even has a lid that you can lift if you want a louder, fuller sound, just like a real piano! 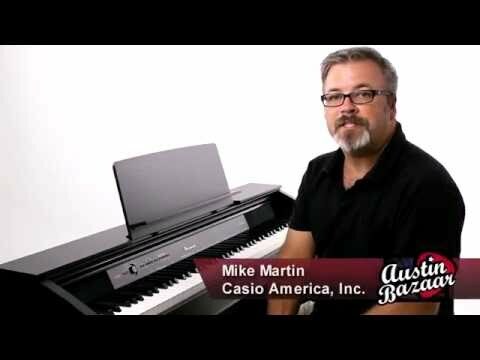 Here is an informercial from Casio themselves so that you can hear what they’ve got to say about it! The Casio guy also plays a bit so that you can hear it. Why We Liked It - This piano is an upgrade from regular digital pianos and would suit intermediate to advanced players. The sound is amazing, and you can choose to have the lid open, just like a ‘real’ piano, which is really nice. It also has three pedals, which is good and enables you to play any music just as you like it. If you just want a piano that works like a charm and doesn’t have too many extras that you’ll never use anyway, this might be a good option. It has 88 keys and they are weighted with hammer action, so it really feels like playing a real piano. It has a great sampled sound, so you’ll actually hear a real piano that’s been sampled every time you press a piano key. 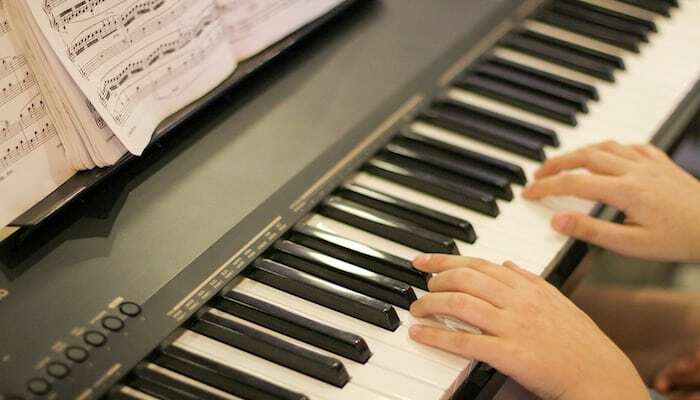 It can be divided into two identical sections which is great for piano lessons. You can use headphones with this piano and it has three pedals. It’s available in black and white and comes with a 5-year warranty, which is great. Korg is a well-renowned upright piano brand that makes tons of musical instruments and equipment, so it’s a brand you can trust and that deliver high-quality products. One really nice thing with this piano is that a piano bench is included, which is helpful since you don’t want to just use an ordinary kitchen chair when you play. 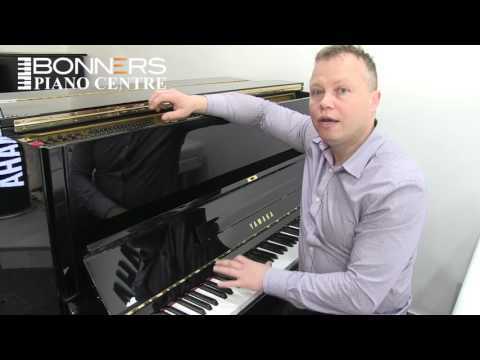 Here is a video that teaches you more about this piano, it has everything you need to know! Why We Liked It - This piano is best for beginners or possibly players who only play once in a while and just want something that works ok but don’t require anything extraordinary. It has hammer action weighted keys, so it’s pretty nice to play. The best thing is probably that it comes with a 5-year warranty, which is unusually good. If you want to find a digital piano with great polyphony you should check this one out! It has 192-note polyphony, which means that you can play even the most advanced piano music without dropping any notes! It has graded hammer action and feels really nice to play, and the tone is full and nice, it really sounds like a real piano! One of the coolest thing about this piano is that you can connect it to an app that lets you get access to your favorite features with the press of a button. One included feature is that it’s pre-loaded with classic piano songs that you can learn to play. 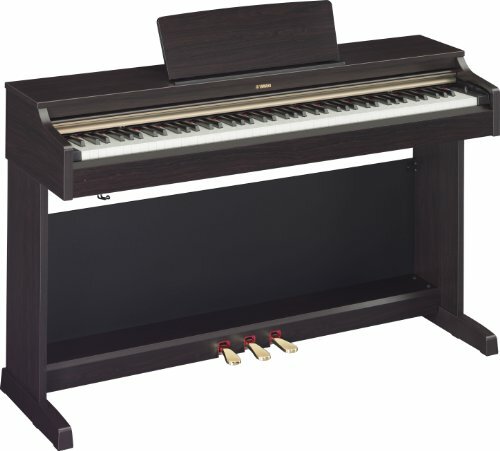 Yamaha's upright piano comes in two different colors, either black walnut or rosewood, and both look really stylish. This is a great piano for people who live in apartments, as it doesn’t take much space, it’s much lighter than an acoustic piano, and it looks stylish! Why We Liked It - This piano is best for the pianist who knows he or she will make full use of its potential. If you like piano technician stuff and would love to be able to save and change the piano’s settings in an app, then this is the piano for you! It sounds really good as well, so beginners, intermediate players and advanced players could easily fall in love with this piano option! Have you ever heard of Flychord? No? We didn’t think so. But you can be sure you’ll hear more about them in the future! Flychord is a piano company that is very new in the piano world but already makes really nice pianos. This one is a digital piano that has everything you need, 88 graded hammer weighted action keys, it has MIDI and synthetic ivory keys that will give you a good grip when you play. It sounds really nice and has 128-note polyphony and a 1-year warranty, which is good. It comes with 40 different voices and 50 preset styles, that can both encourage you to practice pianos more as well as compose. Sometimes it might be boring to just play with the regular piano sound and changing to strings or something else can really make the whole piano playing experience a lot more festive, and make it feel less like a chore. This is a really good way of getting your kids to play. Perhaps instead of saying “Ok, you have to practice so your piano teacher doesn’t get disappointed” you can say “What’s the weirdest sound you can play your homework with?”. That’s a good way of showing your enthusiasm for their piano playing, rather than just showing that you see it as something they must get done. Why We Liked It - This piano is great for beginners, both kids and adults. It has 40 different voices and 50 styles so that you can improvise and create fun music. Intermediate players should also check this piano option out. Are you looking for an acoustic vertical piano with something extra? After all, there is nothing like playing an amazing acoustic piano, no digital piano in the world can beat that! This might very well be the answer! This acoustic upright piano from Schiller is a Special Edition piano which is white and comes with a matching bench. It looks amazing with gold details and is not only a great musical instrument but an awesome interior design detail. It has concert-level strings and is top-quality. 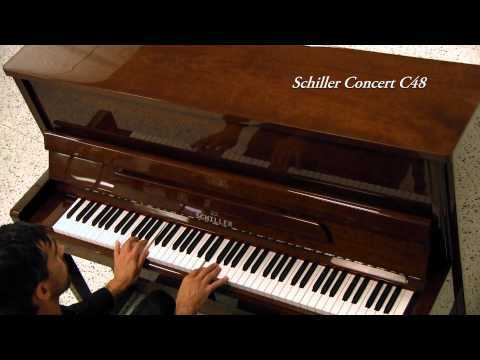 Schiller is an American upright piano brand and has been in the business since 1890, so they know what they’re doing. Perhaps that’s the reason why this piano comes with a 10-year warranty! If you have looked into buying a used piano but feel hesitant and don’t know if you have enough knowledge to find a good one on your own, this is a great acoustic upright piano for you, it’s a guaranteed success! Here is a video so that you can hear this piano being played. You’ll notice that the piano in the video is brown, and not white, but it’s the same instrument apart from the color! Why We Liked It - This piano option is good for everybody. No matter if you’re a beginner, intermediate or advanced, you’ll love this quality piano. As long as you’re ready for the commitment of having a really heavy and big piano, this is perfect! If you’re a beginner and want a piano that will make your piano journey easier, this is a great piano. It has everything you need and more, and even though it’s good for beginner’s you won’t have to upgrade after a few years. It has 88 keys, so it’s full-sized, and the keys have graded hammer weighted action so that it feels like playing a real piano, even though it’s digital. The quality piano also features a 2-track recorder, which can be helpful when you practice, because you can record one hand at a time. This makes the process of practicing a piece more enjoyable as you can get a glimpse of the final result before you’ve learned to play with both hands. The piano can be connected to a computer, tablet or phone via USB, and you can use an app to change settings and record, which makes everything easier, and to be honest, cooler. Why We Liked It - Do you feel like you don’t have the energy to look into all the different features pianos have and you just want to find one that won’t let you down? Then this is the piano for you, it does what it says on the box and is a good investment. You’re welcome! In the society we live in we sometimes consume without thinking. It’s so easy to just buy new stuff without even looking at preloved alternatives. If you want to buy a quality piano, but at the same time be kind to the environment you should look for a Yamaha U1. It’s a really good quality piano and if it’s been reconditioned it might feel as good as new. It looks and sounds amazing and is a good way of getting an expensive piano for a fraction of the original price tag, without compromising on quality. A good piano lasts for a hundred years or more if it’s been well taken care of, so there is really no reason to buy a new one! Here is a video where you can both learn more about these pianos and listen to it. Why We Liked It - This is the perfect piano if you want to buy a used piano that still has a lot to give. No matter your level or experience, this is a good investment that will really enhance your piano playing experience. There is just something about playing a mature piano that has been around for a while. After a quick look at these ten quality pianos we can conclude that there is really a piano for everybody. 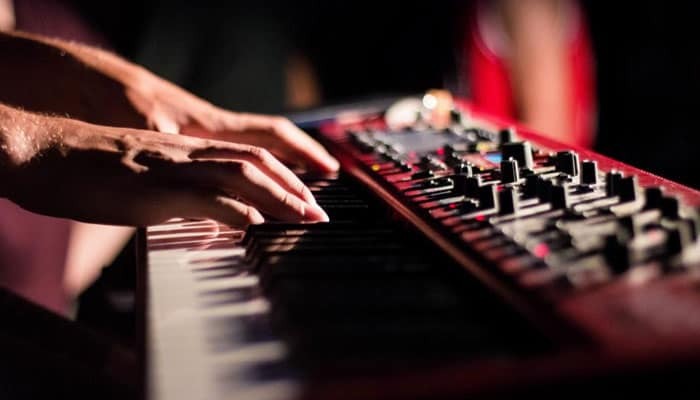 No matter if you want a digital piano, an acoustic piano, or even a used, reconditioned piano, you can find an instrument on our list that will be perfect for you! But how can you know what to look for? Let’s look into what you need to think about when picking the right piano for you! First, you need to make up your mind, do you want an acoustic or a digital piano? Acoustic pianos have the best sound, it’s just the way it is. Digital pianos, on the other hand, might still sound nice and have many different voices to choose from, so if you feel like playing strings or wind instruments all of a sudden, you can do that. The fact that you can turn down the volume or even play with headphones on a digital piano is for many reasons enough to get one. 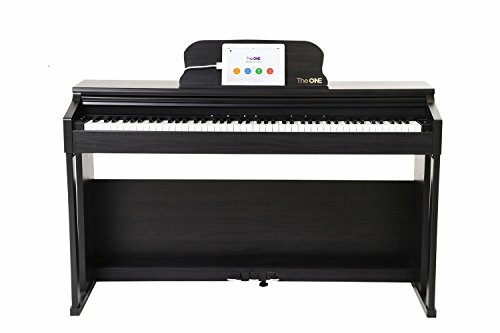 If you live in an apartment or have small children and want to play late at night or many hours every day it might be necessary so have a digital piano. Digital pianos are also much easier to move and take up less space. A vertical piano usually weighs around 300-350 pounds. Yep, they’re really heavy! The measures vary a bit, but professional upright pianos are most often about 110-135 cm high, 155 cm wide and 60 cm deep. Listen up, this is important. Never ever try to move your piano yourself! Always hire professionals to do it! They have carrying straps and other equipment, not to speak about the muscles and experience it takes to move a piano. I’ve seen both professionals and other guys try their hands at moving my pianos and I have to say, the nervousness of seeing people who don’t know what they’re doing moving a piano is almost unbearable. 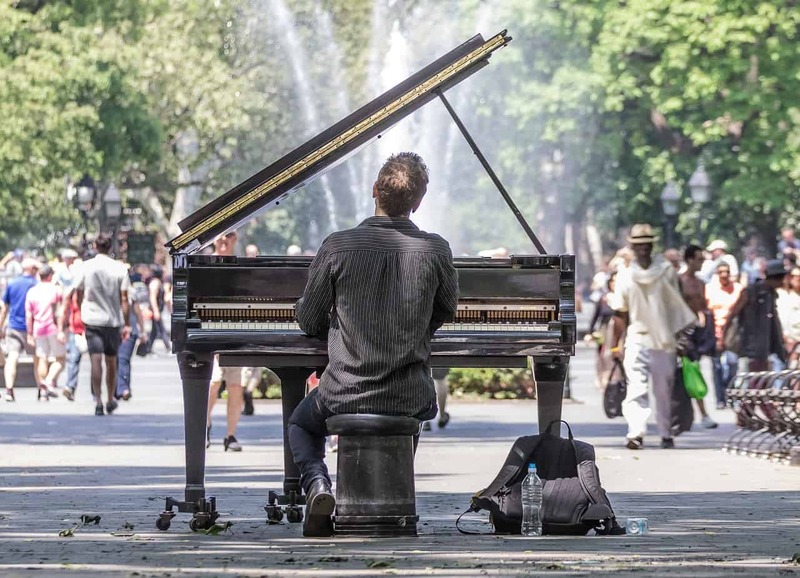 Broken steps, backs, toes, and pianos are very often the outcome when people try to save some money and do it themselves, it’s never a good idea! 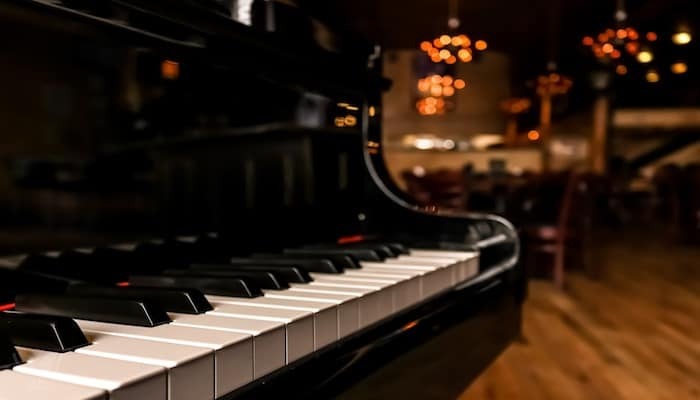 Some may wonder, what is the difference between an upright piano and a concert grand piano? Well, how they look is, of course, the biggest difference, as well as how they look inside. In a professional upright piano, the strings are just that- upright, whereas in a grand piano they are horizontal. A baby grand or standard grand piano sounds better and fuller than an upright, but they also take lots of space, are terrible to move and very expensive. There are also digital grand piano instruments available. Yamaha and Schiller are two piano company brands that are represented in our list and are very good. 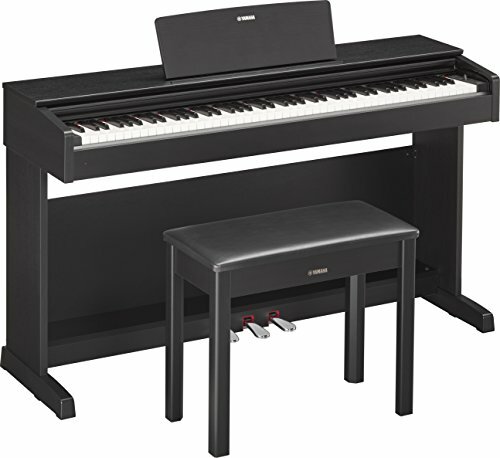 If you are looking for a digital upright piano we can warmly recommend Yamaha Arius YDP162R. When it comes to acoustic pianos a reconditioned Yamaha U1 is a very good option. If you are buying a used piano, try all the keys and look inside the quality piano so that everything looks like it’s working and there are no moths or other creatures that don’t belong there! Piano is short for pianoforte. Piano means soft in Italian and forte means loud.